The diamond jewelleries don't have to be sooo classic anymore! I've just discovered a collection of fun jewelleries, made of white gold and diamonds, that i simply love. 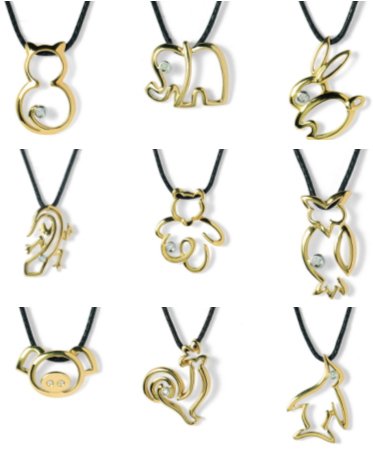 Entitled "Wild gold", the collection of pendants and earrings created by the designers of Donna Oro (http://www.donnaoro.com) (renown Italian jewellery maker) represents stylized animal silhouettes, with a sparkling diamond for a dash of glitter. I am interested in this animal silhouette pendant and wanted to know how to go about purchasing it. I tried going to the donnaoro website but do not see any where to purchase the item. How could I go about ordering this pendant? Outfit for the BIG day: wedding time! Fur coats: hot or not? !